Has your vehicle had an airbag recall? Auto makers have issued quite a few airbag recalls in recent years over safety concerns that the airbags may not deploy in an accident. Car makers are required to notify vehicle owners when an airbag recall has been issued. But if you are the second or third owner of a vhicle that is subject to an airbag recall, you may have never received such a notice. There have been a LOT of these recalls so check to see if your vehicle is affected. DO NOT IGNORE AN AIRBAG RECALL NOTICE! If you have received an airbag recall notice, or you see your vehicle in the following list of recalls, take your vehicle to a car dealer for free repairs. Recalls are a safety issue so the repairs should cost you nothing - and it may save your life in an accident! If you do not see your vehicle listed below, you can do a search for any safety related recalls at Safercar.gov. This is the official National Traffic Safety Administration website for safety recalls and other information. 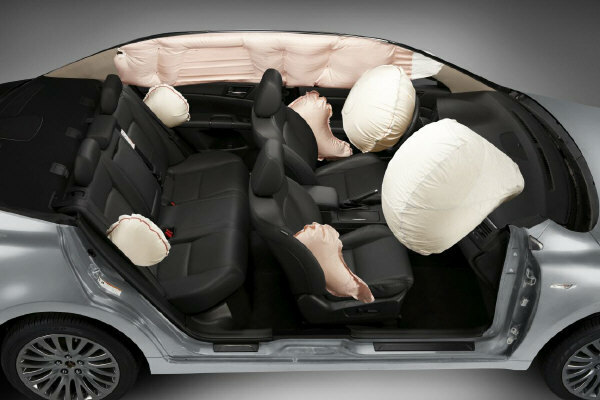 Multiple airbags surround the passenger compartment to protect the occupants in a crash. 2012 A6 Side curtain airbags may not deploy properly due to improper stitching. 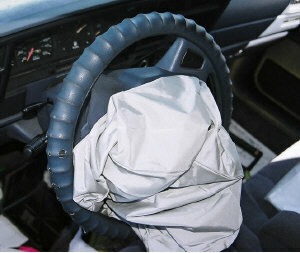 May 1999 to August 2006 3 Series to replace passenger-side front air bags made by Takata Corp because the inflators could break apart during deployment and injure passengers. 2004 to 2005 5-Series standard and sport seat models, 2004 to 2006 X3 and 2006 3-Series with sport seats Passenger side curtain airbags may not deploy due to wear in passenger seat sensor. 2012-2014 Dodge Ram trucks (all models) for a driver's side airbag that may suddenly deploy due to a wiring harness short. 2013-2015 Dodge Ram 1500 through 3500 trucks for side airbags that may deploy when the door is slammed shut. 2008, 2009 and 2010 Dodge Challenger models to replace defective Takata airbags. 2002 to 2003 Jeep Liberty, 2002-04 Jeep Grand Cherokees and 2003-04 Dodge Vipers for a faulty TRW airbag control module that may cause the air bags to deploy without warning while driving (recall issued 1-31-2015 for 753,000 vehicles). This latest recall requires replacing the airbag control module. 2002 to 2003 Jeep Liberty Airbags may deploy without warning while driving due to a system fault. Recall campaign M35. Involves wiring repairs. 2002 to 2004 Jeep Grand Cherokee Airbags may deploy without warning while driving due to a system fault. Recall campaign M35. Involves wiring repairs. 2003 to 2004 Dodge Viper Airbags may deploy without warning while driving. Involes wiring repairs. 2008 Dodge Grand Caravan, Chrysler Grand Voyager and Chrysler Town & Country minivans Airbags may deploy without warning while driving. A leak in the HVAC system or condenser drain can short out the nearby airbag control module, causing it to blow the bags. 2013 to 2014 Ford Escape and C-Max for a software glitch that may cause the side curtain airbags to deploy late in an accident. 2004 to 2006 Ford F-150 pickup trucks and 2006 Lincoln Mark LT trucks. Faulty wiring may short circuit driver's side airbag causing airbag warning light to come on followed by possible airbag deployment. NHTSA recall campaign 11V107000. 2011 to 2013 Ford Fiesta Possible fault in right rear passenger air bag system could prevent deployment in accident. NHTSA recall campaign 12V488000. 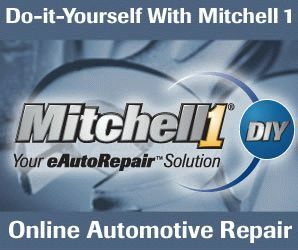 2003-2004 Pontiac Vibe to replace a faulty TRW control module that may cause the airbags to deploy without warning while driving (issues 1-31-2015). 2008-2009 Pontiac G8 Dual stage front airbags may deploy too slowly in an accident, allowing possible injury to front seat occupants in a crash. Recall involves reprogramming front airbag sensors for faster deployment. NHTSA recall campaign 11V534000. 2011 Cadillac SRX crossover Faulty passenger side sensor may prevent side curtain airbag from deploying in accident. NHTSA recall campaign 11V149000. 2012 Buick Verano, Chevrolet Cruze and Sonic Faulty front air bags may not deploy in accident. GM internal recall campaign 12261. 2012 GMC Savana and Cheverolet Express vans Front dual stage airbags may fail to deploy properly in accident. NHTSA recall campaign 11V543000. 2013 Chevrolet Malibu Eco Faulty Sensing Diagnostic Module (SDM) may accidentally trigger roof rail side airbags as a result of hard braking or turning maneuvers. NHTSA recall campaign 12V224000. 2003-2004 Honda Odysseys and 2003 Acura MDXs to replace a faulty TRW conntrol module that may cause the air bags to deploy without warning while driving (recall issued 1-31-2015 for 374,177 vehicles). 2001 to 2002 Accord Driver's airbag may deploy with excessive force causing injury in an accident. Honda will replace airbag inflator. For details, see www.recalls.honda.com or call 800-999-1009. 2001 to 2003 CivicDriver's airbag may deploy with excessive force causing injury in an accident. Honda will replace airbag inflator. For details, see www.recalls.honda.com or call 800-999-1009. 2001 to 2003 OdysseyDriver's airbag may deploy with excessive force causing injury in an accident. Honda will replace airbag inflator. For details, see www.recalls.honda.com or call 800-999-1009. 2002 to 2003 CR-VDriver's airbag may deploy with excessive force causing injury in an accident. Honda will replace airbag inflator. For details, see www.recalls.honda.com or call 800-999-1009. 2002 to 2003 Acura 3.2 TLDriver's airbag may deploy with excessive force causing injury in an accident. Honda will replace airbag inflator. For details, see www.recalls.acura.com or call 800-382-2238. 2003 Acura 3.2 CLDriver's airbag may deploy with excessive force causing injury in an accident. Honda will replace airbag inflator. For details, see www.recalls.acura.com or call 800-382-2238. 2003 PilotDriver's airbag may deploy with excessive force causing injury in an accident. Honda will replace airbag inflator. For details, see www.recalls.honda.com or call 800-999-1009. 2009 to 2013 Pilot SUV and Odyssey minivan Recall for missing airbag cover rivets. This could result in injury to the driver if the airbag deploys in an accident. 2011 Accord Faulty front driver and passenger side airbag inflators may fail to deploy in a crash. NHTSA recall campaign 12V030000. 2001 to 2002 Hyunda Elantra Front airbags may not deploy in accident due to liquid spilling in console cup holder and fouling airbag control module under the console. 2001 to 2002 Hyundai Elantra Side impact curtain airbags may not deploy due to damaged wiring harness under each front seat. 2006 to 2008 Kia Rio Front passenger seat sensor may fail to detect child, causing airbag to deploy will full force in an accident causing possible injury or death to a child. Recall campaign SC097. 2007 to 2008 Kia Sorento The Occupant Classification System (OCS) that detects a small child in the front passenger seat should deactivate the passenger side air bag, but it may also fail to detect a fullsize adult in the passenger seat preventing the airbag fro deploying in an accident. The fix is to reprogram and OCS module. NHTSA recall action EA09017. 2007 to 2009 Hyundai Santa Fe SUV Faulty passenger seat sensor may not detect a small child which may prevent the airbag from deploying in a crash. 2007 to 2008 Hyundai Elantra Driver side front airbag needs to be reprogrammed for softer deployment based on seating position. 2007 to 2009 Hyundai Elantra Passenger airbag may deploy with excessive force. 2012 to 2013 Hyundai Sonata Side airbags may suddenly deploy without warning while driving. 2003-2008 Mazda6, 2004-2008 RX-8, 2006-2007 Mazdaspeed6,2004 MPV and 2004-2008 Mazda B-Series trucks for potentially defective airbag inflators made by Takata Corporation. Inflator canister may explode and produce shrapnel that could injure vehicle occupants. Click Here to read a copy of the June 2014 Mazda recall notice listing specific models equipped with the Takata airbag inflators. 2002 to 2005 Lexus SC . Takata airbag recall to replace potentially dangerous airbags that could spray metal shrapnel if the airbag deploys in an accident. 2011 G550 and G55 AMG luxury SUVs Part of dash panel molding trim may break loose when airbag deploys during an accident causing injury to occupants. 2003 to 2005 Infiniti Q45 Wiring fault may prevent front seat side airbags from deploying in accident. NHTSA recall campaign 12V079000. 2012 Nissan Altima and Nissan Versa sedans Faulty side curtain airbags may not deploy in an accident. NHTSA recall campaign 12V055000. 2016-2017 Nissan Maxima, 2013-2016 Nissan Altima, NV200, LEAF and Sentra, 2013-2017 Nissan Pathfinder, 2014-2016 Nissan NV200 Taxi, Infiniti QX60 and Q50, 2014-2017 Nissan Rogue, 2015-2016 Nissan Murano, and 2013 Infiniti JX35 for a defect in the front seat passenger Occupant Classification System (OCS) that may prevent the passenger side airbag from deploying in an accident. 2012 Legacy sedans Faulty side curtain airbags may not deploy an accident. 2003 and 2004 Toyota Corolla, Matrix and Avalon. Airbags may deploy without warning due to system fault (recall issued 1-31-2015 for over 1,000,000 vehicles). Recall invovles replacing the airbag control module. 2003 to 2005 Corolla Takata airbag recall to replace potentially dngerous airbags that could spray metal shrapnel if the airbag deploys in an accident. 2005 to 2009 Tacoma trucks Faulty steering wheel wiring may prevent driver airbag from deploying in accident. 2011 RAV4 Defective side curtain airbags may not deploy in accident. 2012 and 2013 Avalon, Camry and Venza Condensation from A/C system can leak on airbag control module, causing airbag system to malfunction or possible airbag deployment while driving. Defective airbag inflators supplied by Takata Corp. to various vehicle manufacturers have been blamed for a number of deaths and injuries. The metal canister that holds the airbag can explode when the airbag deploys, producing shrapnel that can injure vehicle occupants. The number of vehicles that are affected is in the tens of millions. Here is a list of vehicles equipped with the Takata airbag inflators (source:NHTSA). If you are uncertain whether your vehicle is included, check with your car dealer. They can determine if your vehicle is included by its VIN number.